Home » Guest Posts » Anatomy of a Sonnet and how to write one effectively! Anatomy of a Sonnet and how to write one effectively! Sonnet is a short poem consisting of fourteen lines and is adopted by the English from the Italian poets. Its use in English has been prevalent since the thirteenth century and is considered to be one of the difficult forms to master. From centuries and different literature periods sonnet has brought fresh perspective to the readers and marked the authors as eternal writers who could influence anyone with their magical placement of words. To create a world of meaning in fourteen lines is quite difficult and one can look at the classic examples to understand the beauty as well as the difficulty. 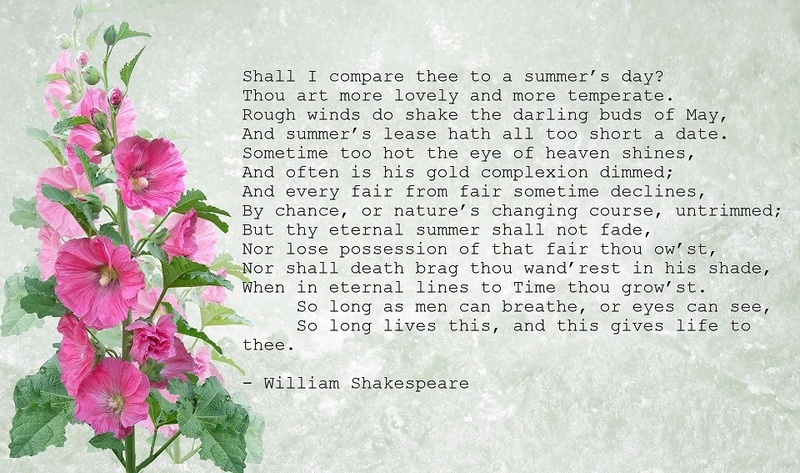 William Shakespeare – Shall I compare thee to a summer’s day? Of course, there are other rhyme schemes used by different poets and there is complete liberty for poets to use their own rhyme scheme disregarding the classic ones here. Shakespearean rhyme scheme with three quatrains [four lines] and a single couplet [two lines] is the most used in English language. How to write a sonnet? The basics for a sonnet are not that difficult to understand but it is the creative part that becomes difficult. An individual has to have a natural instinct for poetry along with some proficiency in the language to ensure the poem is enjoyable and at the same time deep. The following are the basic steps that one should employ while trying to write a sonnet [this becomes natural after writing many poems and one needs no worry about the steps]. # Select a good subject – Shakespeare mainly writes about love, Spenser is more diversified and many other poets have their own style of writing along with themes. The selection of themes be it love, death, nature, philosophy, etc. defines the individual. Finding the right theme that reflects the personality of the individual will help to put words in a perfect manner. A poet can have different subject matters, but he or she always selects the ones that they are capable of handling. # Rhyme scheme is pretty important as mentioned above. This requires a lot of writing skills and vocabulary. Reading poetry, analyzing different poems, etc. can help the individual in developing a mind towards rhyme scheme. Among other ways that can improve your writing skills, you can also turn to asking advice from teachers or guides. They are highly experienced in the field and would help phrase the topic of poetry in the right manner. # Do not think of the metrical pattern much. That’s right! Critics might say that a sonnet must consist of a metrical pattern mostly iambic pentameter. Remember that a poet is not a grammarian and should only think of the aesthetic appeal of the poem. Leave the complex matters to the professors and teachers; concentrate on the beautification of the lines rather than going for meter. # Make sure to have a story line for the sonnet. The quatrains can be used to move the poem while the couplet can be used to create a wonderful conclusion. # Be passionate about the subject, find the right words that can visually appeal to the reader as well as touch other senses. Do not write for writing’s sake and live the moment while penning down the words. Write everything that comes to mind and editing part [if needed] can be done later. If you’re writing or trying a sonnet then you must be in complete love with literature. Show that love in the lines and present the sonnet with great precision. Poetry is a crystal lake where everything reflects, the poet needs only to capture those required and frame them into a garland of words. Remember that a sonnet is the reflection of the self; if the self is satisfied then do not think of the critics or the community that reads the poem. In that way, every young poet can produce some great poetry in his or her lifetime.